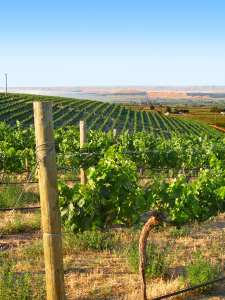 The Yakima Valley cultivates as much diversity and quality as any agricultural region on Earth. Apples, cherries, peaches, nectarines, pears, and more fill a rich cornucopia. Completing this bounty is a remarkable spectrum of world-class wine grapes. The first grape vines in the valley are credited to a French winemaker named Charles Schanno, who in 1869 planted cuttings taken from the famous Hudson’s Bay Company trading outpost at nearby Fort Vancouver. But it was not until the very early 20th century that Seattle attorney William B. Bridgman pioneered the modern wine industry in the Yakima Valley. Many of the vineyards established across the region during this time were planted from Bridgman’s own vine cuttings. Following the hiatus of Prohibition, Bridgman opened Upland Winery and initiated some of the earliest varietal labeling for American wines. Scientific support for viticulture, or the craft of grape growing, began in the Yakima Valley as early as 1917. In that year, a 200-acre plot of sagebrush near the city of Prosser was designated as an agriculture research site. Known today as the Irrigated Agriculture Research and Extension Center, it is operated by Washington State University and the USDA. 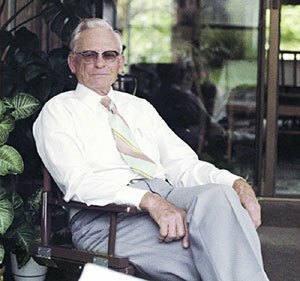 In 1937, this facility hired Dr. Walter Clore, who initiated grape plantings that proved vital to the nascent Washington State wine industry. Today’s Yakima Valley wine landscape likely emerged in 1962, when Associated Vintners purchased a 5.5-acre site near the town of Sunnyside. It was recommended by the pioneering Bridgeman for its elevation – above frosts along the valley floor – and the south-southwest-facing slopes that take advantage of Eastern Washington State’s sunshine. This became the Harrison Hill Vineyard, which is now farmed by the Newhouse Family for DeLille Cellars. Even more remarkable vineyards came into being during the following decade. Mike Sauer planted his first three acres of Cabernet Sauvignon at Red Willow in 1973. Forty years later, grapes from Red Willow’s 140 acres supply many of America’s finest winemakers. At almost the same time, in 1975, John Williams and Jim Holmes started with a dozen acres at Kiona on Red Mountain. 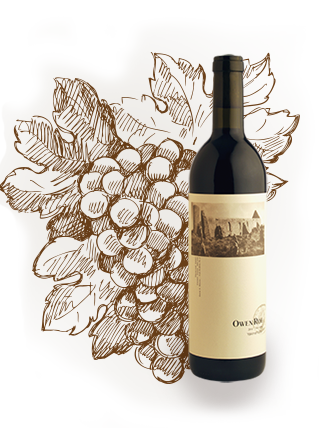 Today, much like Red Willow, both Kiona and neighboring Ciel du Cheval supply fruit to Washington State’s finest wine labels. 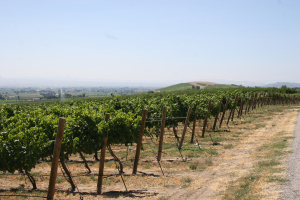 During the 1980s, along with the rest of the Washington State wine industry, the Yakima Valley experienced a boom in the planting of new vineyards and the opening of new wineries. These included Hogue Cellars and Covey Run, both established in 1982, and Chinook Wines in 1983. Then on March 23, 1983, the Yakima Valley appellation was officially designated by the U.S. Bureau of Alcohol, Tobacco, and Firearms. It was the first American Viticultural Area (AVA) in Washington State, and also the only recognized AVA north of California at that time. Just four wineries operated in the new appellation: Kiona Vineyard and Winery, Hinzerling Winery, Yakima River Winery, and Tucker Cellars. But some of our region’s finest vineyards were coming on stream in those years, including the now-famous Boushey in 1980, Klipsun in 1984, and many more. Across the following three decades, the Yakima Valley wine industry has consistently justified its status as the “first growth” of Washington State. 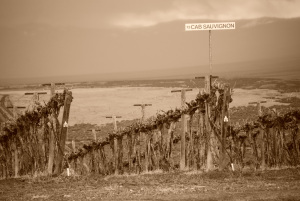 From the earliest vintages until today, the Yakima Valley has grown more wine grapes for Washington wineries than has any other appellation. Simultaneously, it has cultivated most of the best wine in the region, since award-winning wineries from Woodinville to Walla Walla to even the Willamette Valley have grown to greatness through their use of Yakima Valley grapes. The Yakima Valley AVA now cultivates more than 17,000 acres of vineyards. Yakima and Benton counties are home to more than 152 wineries, and collectively they make up more than half of the wine production in Washington State.